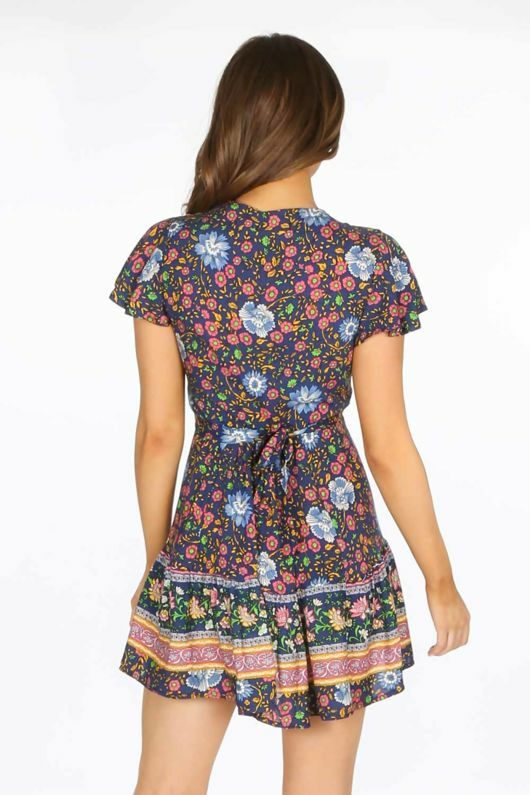 Be a boho beaut this season in vintage floral prints. 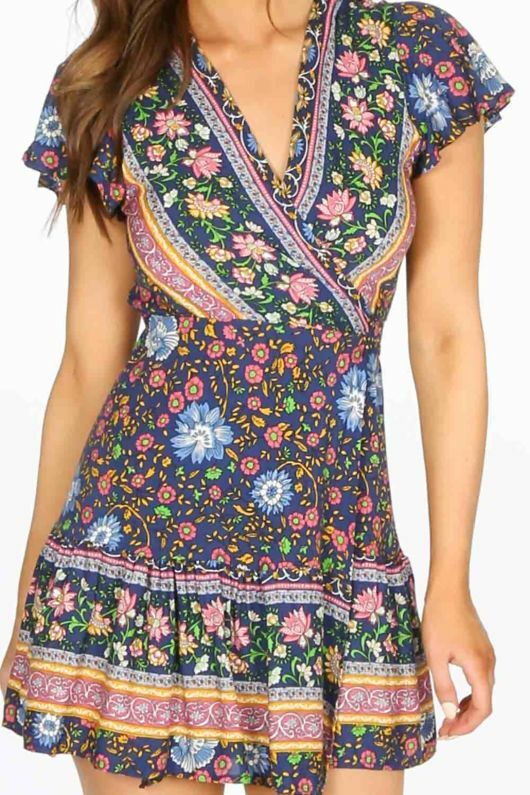 This super cute floral wrap mini dress in navy is must have essential for the Spring Summer season, with its short sleeves, wrap fastening and frilled hemline. Style yours with some cute wedges and a cute hair accessory.